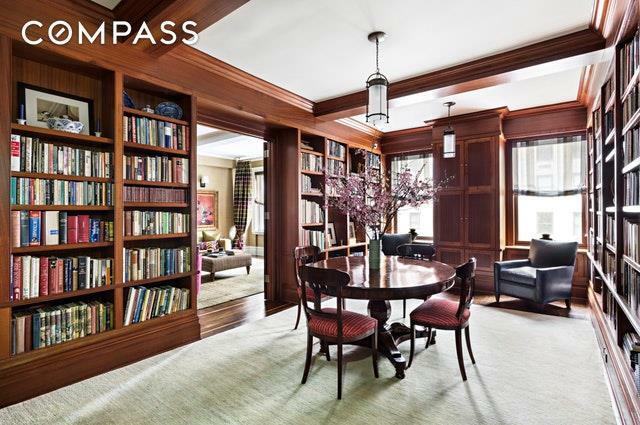 Rarely available, mint condition, classic 7 room home in the heart of Carnegie Hill. 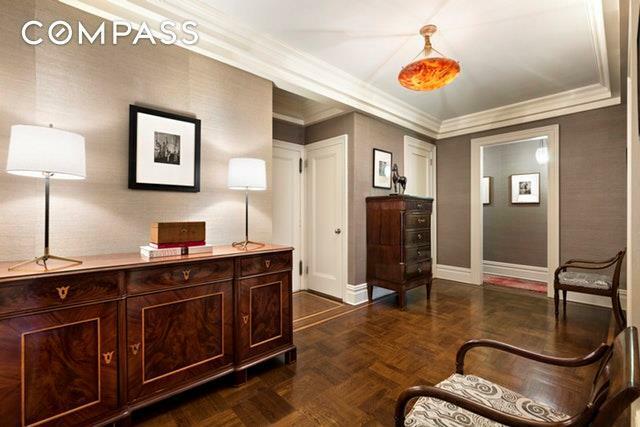 Apartment 9E is a bright, corner apartment with a gracious entrance gallery, generously proportioned layout and beautiful pre-war details including 94ceilings, crown molding, coffered ceilings, and pristine hardwood floors. The bespoke windowed eat-in-kitchen was designed by St. Charles of New York and features custom made Heritage cabinets, honed Carrara marble countertops and backsplash, Sub-zero refrigerator, vented 6 burner Viking stove, and limestone floors. The formal dining room/library has custom built solid mahogany shelving. A separate bedroom wing includes 3 bedrooms which are all sunny and spacious, and they all have custom California closets. The 3 bathrooms are equipped with Waterworks fixtures. The former maids room was converted into a guest bedroom with full bath. 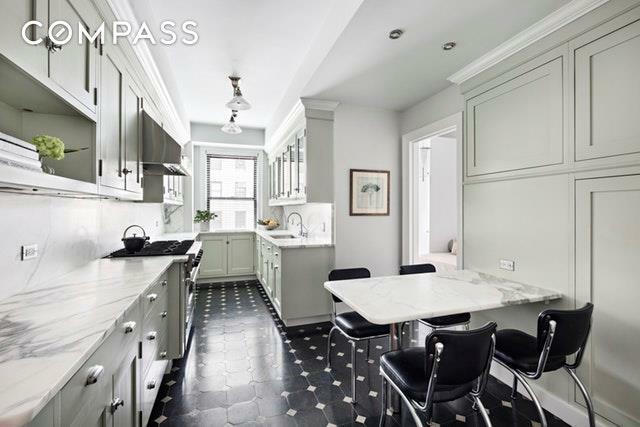 Washer/dryer in unit.Perfectly located in Carnegie Hill, 21 East 87th Street / 22 East 88th Street is a full service Emery Roth designed building with remarkably LOW MAINTENANCE. There is a full time doorman, live-in superintendent, renovated gym, bike room, laundry room and private storage for each apt. Pets allowed. It's conveniently located near Central Park, Museum Mile, public transportation, and prestigious public and private schools. 50% financing allowed. Buyer pays 2% Flip Tax. 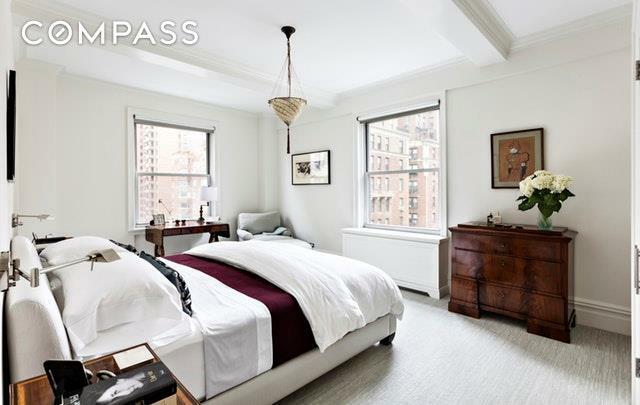 Listing courtesy of Liz Yu Chiang of Compass.